To help you get the most out of your games of Kill teams, we’re creating a short series breaking down everything you could want to know about Matched Play, including the Command Roster, Specializations, the Scouting Phase, and more! 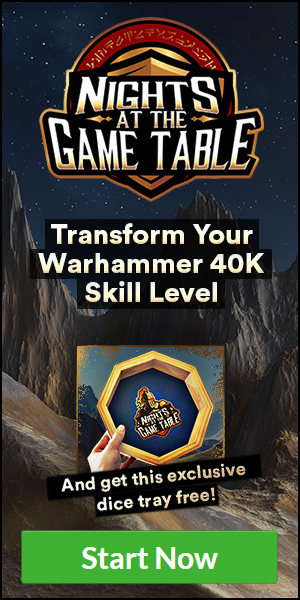 This way, you’ll be completely prepared to go into any game of Kill Teams and stand a great chance of winning! Today, we’re focusing on your Command Roster, and how you can adapt your army to fight off any opponent! Kill Team (here after KT for short) has attempted to re-balance the relationship between elite and horde armies in a few ways. One of the biggest re-balances is in how players actually assemble their lists. 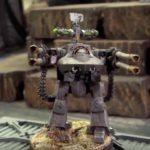 Instead of simply writing out a 100 point list and playing a game, players assemble a roster of 20 models, called a Command Roster, and pull models from it based on what their opponent’s faction is. Since a Kill Team can have up to 20 models in it, if you wish to play a horde style list, you sacrifice flexibility between games. On the other hand, more elite armies will enjoy the benefit of being able to have a variety of tools and specialists ready to go to handle specific matchups. Before we go over some basic suggestions on writing a Command Roster, let’s go over a couple important things to keep in mind first. It’s important to keep these tidbits of information in mind, because taking advantage of this mechanic is the first step to achieving victory in a game of KT. Every army will approach building their Command Roster a tad differently of course. However, there will be strong common trends between more horde based armies and more elite based armies, and that’s where we’ll break things down, starting with horde armies. – Don’t underestimate the value of a few elite models, even in a horde style army. Most basic infantry don’t get much benefit from specializations for one, and for two KT has a lot of added accuracy penalties that make regular rank and file models dangerous to spam because of how inaccurate they can be. At nothing else, you’ll want at least one elite model somewhere if at all possible, that way you can make Break tests less likely to fail. 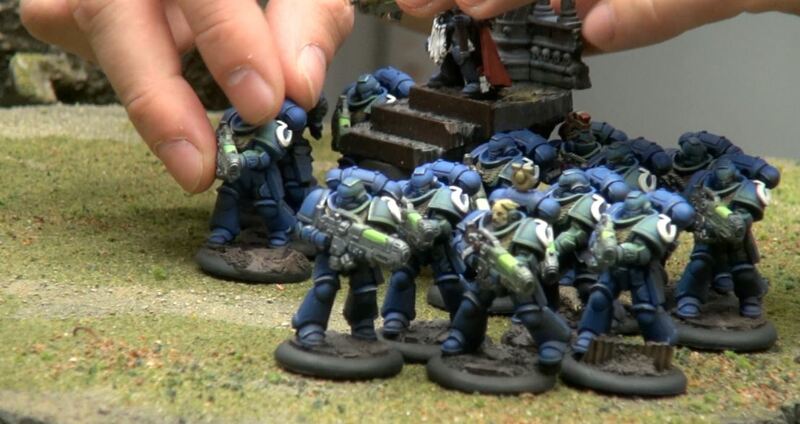 Having your Kill Team broken is downright backbreaking and often game ending. – Piggy backing off accuracy penalties, if you want to play a horde style army, expect to be getting up close and personal. KT has a huge amount of negative penalties to a model’s accuracy compared to regular 40K. Baseline, you can assume that the -1 for the target being obscured and the -1 for being outside of half range as usually being online, so most models will be at a -2 to hit. Elite armies can persevere through that and close the gap overtime, but anyone with a BS of 4+ is going to effectively be firing Overwatch all game unless they get close, and that’s not a winning position. This doesn’t mean that you have to play a strictly melee army if you play hordes, but it does mean you need to plan around getting close before you’re even remotely effective. So, don’t invest too much on any long range weapons, unless you have good ways to boost their accuracy! – Stay together! 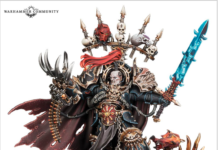 Every model that has a Flesh Wound has to take a Nerve test, and that Nerve test gets worse for every model in your Kill Team that has failed a Nerve test or is Out of Action. 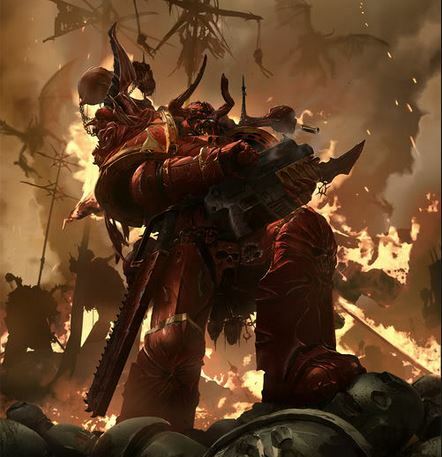 If you aren’t careful, you can find yourself in a position where a large chunk of your army is functionally dead even if they just have a Flesh Wound, since they’re stuck constantly taking Nerve tests they can’t pass. You can counteract this by keeping models close to one another, since every model within 2” of the model taking a Nerve test improves their test by 1. So instead of fanning out 15-20 models all over the place, having 3-4 roving groups of models together will help prevent this from occurring. This isn’t actually Combat Roster related per say, but it’s important to remember when building your Kill Team in general. – Splurge on your upgrades as much as you can. KT has completely redone the points costs on weapons and upgrades, and most of them are astronomically lower. You’ll generally want to cram as many special weapons in a Kill Team as you can. To do that, you need to make sure you include plenty in your Combat Roster too! They say quantity is a quality all its own, but in KT that’s not quite the case. You suffer a large quality hit, and you also suffer from not being very flexible or adaptable to the mission or matchup. Overall, we don’t actually recommend playing a horde style list, unless it’s your only list building option. 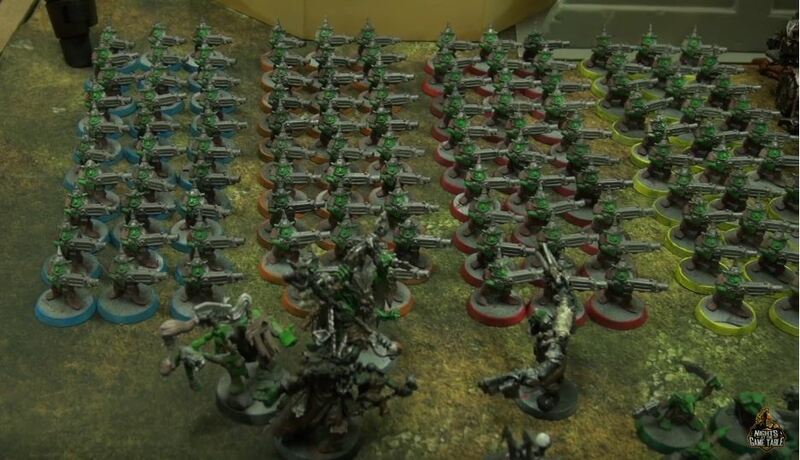 Cheap models absolutely have their place on a Command Roster, but they shouldn’t dominate a roster unless you’re playing a faction like Orks, who have no choice but to swarm the board in Boyz. This is doubly compounded by the fact that some missions have kill points as part of their victory conditions, which just adds another liability to high model counts. 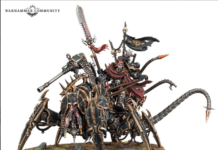 – Just as a horde army benefits from having a few more elite models on its Command Roster, any elite army will greatly benefit from having a few cheap and basic models on its Command Roster. They’re great at objective play, and they also increase the number of actual models in a KT. 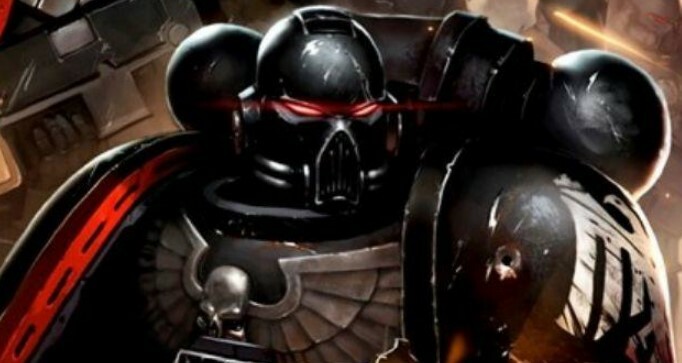 This may not sound very important, but there a few things in the Scouting Phase that affect a number of models based on the number of models in the Kill Team, so boosting your numbers slightly can improve your Scouting Phase. Plus, you start taking Break tests when over half your Kill Team has a Flesh Wound or is Out of Action. The longer you can avoid taking Break tests the better, and upping your model count pushes back any potential Break tests. – Make sure you have at least 1 of every specialist you might take, and at least 2 of every specialist you know you’ll want to take, with Leader as the only exception here. You can have multiple leaders if you want, but usually you’ll have a strong idea who your leader is and what you want them to do. For your other specialist options however, you’ll want different loadouts based on the matchup. 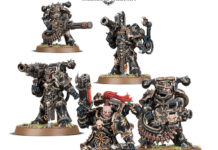 For example, if I’m playing Heretic Astartes, I might want a Heavy gunner with a Heavy Bolter, a Heavy Gunner with a Flamer, a Demolitions Gunner with a Plasma Gun, and a Demolitions Gunner with a Flamer. This way, I make sure I have the right tool for the job no matter what. And when it comes to your more situational specialists, it’s much better to have a single slot dedicated to them so you have the option available then it is to forgo the option and regret it. – You’ve got 20 slots on a Command Roster, so use them! Most Elite armies can be made to function at range or as a melee army. To the greatest level possible, your Command Roster should allow you to be either, that way you can always play to your opponent’s weakness. So, make sure you fill your Roster in such a way that you can really exploit this flexibility to the max. 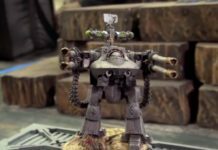 Ideally, you should be able to play one game as a primarily melee army against Tau for example, and with the same roster play a gunline against Tyranids or Orks. – Managing all of your special weapons and equipment in an elite army can be a bit more daunting. Some elite armies like Space Marines have 3-4 unit options, and each option has their gunners and special equipment. If you splurge on lots of specialist and weapon combinations here, you can wind up with little to no room for regular models. As a ballpark, you’ll want at least 1 of each special weapon available on your roster, probably with some assigned Specialisms. After that, then add 2 or so of each regular model you have available. After you do all this, you can fill your last couple of slots based on your own preference. This way, you’ll have plenty of access to all of your toys, while still having a well-rounded and highly functional roster. KT is a game that rewards flexibility and adaptability, so for that reason we recommend playing a more Elite style army whenever possible. 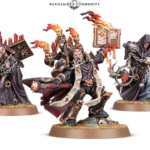 So, for example, if you play Heretic Astartes, you’re going to get more mileage playing with a bunch of Chaos Space Marines than you will playing with a bunch of Cultists. Just remember that you don’t want to totally write cheaper models off, however. They do have their uses! The specifics of your roster will change up slowly over time as you become more acquainted with the game, and that’s okay. Just be willing to constantly evaluate your roster and make those changes as you see fit! That’s it for the first chapter of our Kill Team Analysis! Be sure to leave a comment below to tell us how you set up your Command Roster!